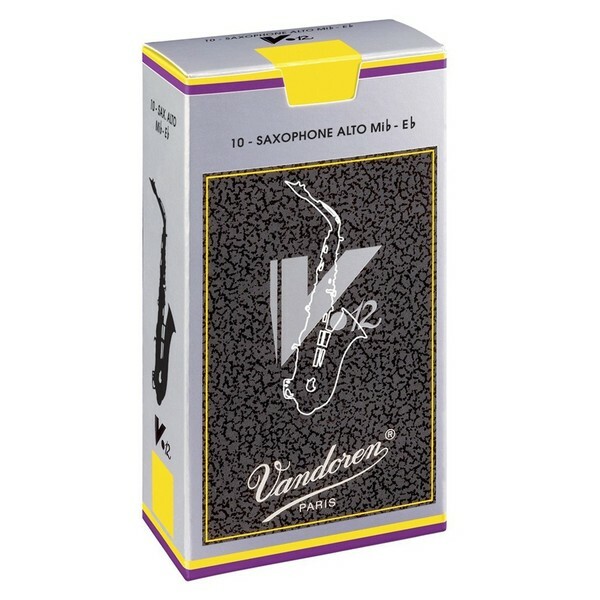 The success of V12 reeds in the clarinet world for 25 years has led us to transpose their characteristics and advantages into the saxophone world. With its very precise attack, homogeneous timbre in every register, controlled high notes, warm and velvety sound, this new reed offers exceptional possibilities. Produced from cane selected for its specific proportions, the V12 reeds have a thicker heel and are cut on a longer palette with a slightly thicker tip than the Traditional. The longer palette means that more of the reed is vibrating, resulting in a deeper, richer sound. The thicker tip gives body to the attack and also increases the longevity of the reed. For more information please see the PDF attachment below. There are many important factors to consider when growing cane: the specific qualities of our soil, hygrometry, the climate, a generous sun, the wind, which brings the cane to life, not to mention the experience, and know-how of the people that grow it with passion. It takes no less than four long years of care and attention to bring cane to the point where it can bear the prestigious name of Vandoren. In the first year, the cane reaches its final size and diameter. At the end of the second year, after gaining its body and strength, it is ready for harvesting. The cane is delicately cut with shears designed to avoid bursting the fibers; it is cut by hand in the tradition of the old journeyman carpenters. The harvest is carried out while the moon is descending, when the sap is utterly still. It is then stripped, cut into 6 foot sticks, and put out in the sun to take on that golden color that sometimes leaves brown marks. The cane is bundled and sent to Vandoren's protected and ventilated warehouse to dry for another two years before manufacture begins. Once the cane is ready for manufacture, the first cut is made. This first cut produces the rough shapes in preparation for transformation into reeds. These rough shapes are beveled to an accuracy in the order of 1/100 mm, on the basis of a model created by Bernard Van Doren, whose knowledge, passed along for three generations, makes it possible to combine an endless number of lines and curves. Mr. Van Doren gives this little piece of cane a soul, which one day will be able to express itself with the musician?s talent. Every cane has its own character, with which the strength of the reeds is determined. No piece of cane can be identical due to the nature of this natural product. After the final inspection by trained craftsmen, the reed is stamped with its strength, receives the Vandoren logo, and is placed in a protective cover, ready to be packaged.